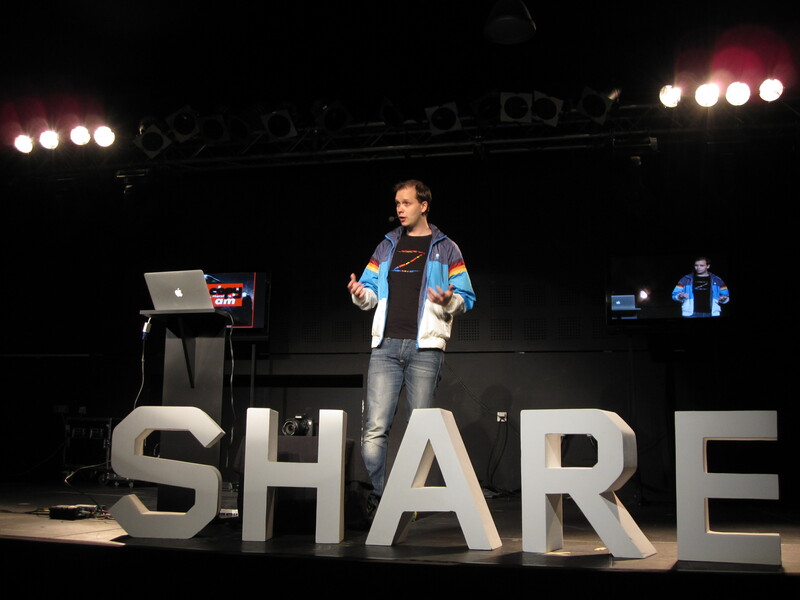 A bunch of photos from Share Conference in Belgrade, RS. The conference impressed me with the scale and performance of it all, with professional branding everywhere — there was even special cushion furniture in the lobby spelling SHARE. Very laid back. Very sharp and intellectual. Very round the clock. Cushions everywhere for people generally lounging about. See the corresponding blog post for more about the impressions from Share. I really hope there will be a next Share in Belgrade in 2012.